What's sweet and casual? 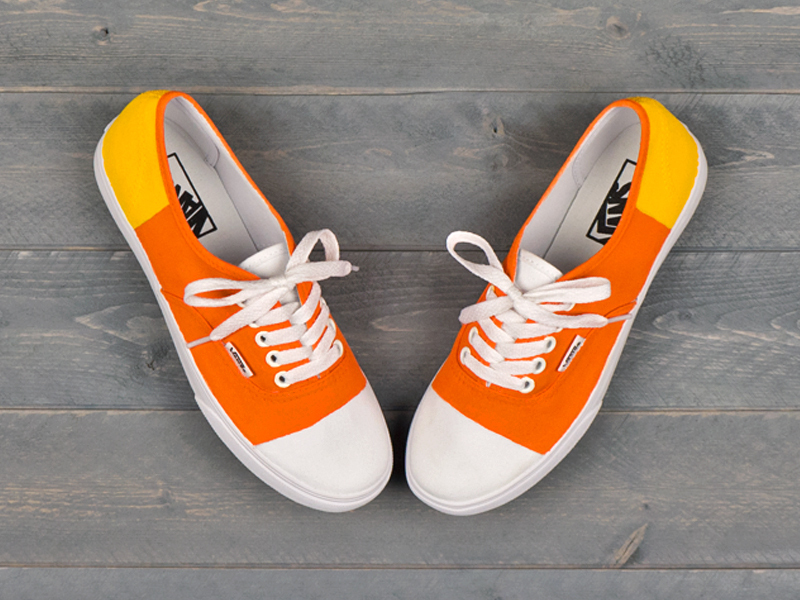 A candy corn pair of your very own Vans. These candy corn Vans are a pair that even your sweet tooth will want a taste from this DIY. 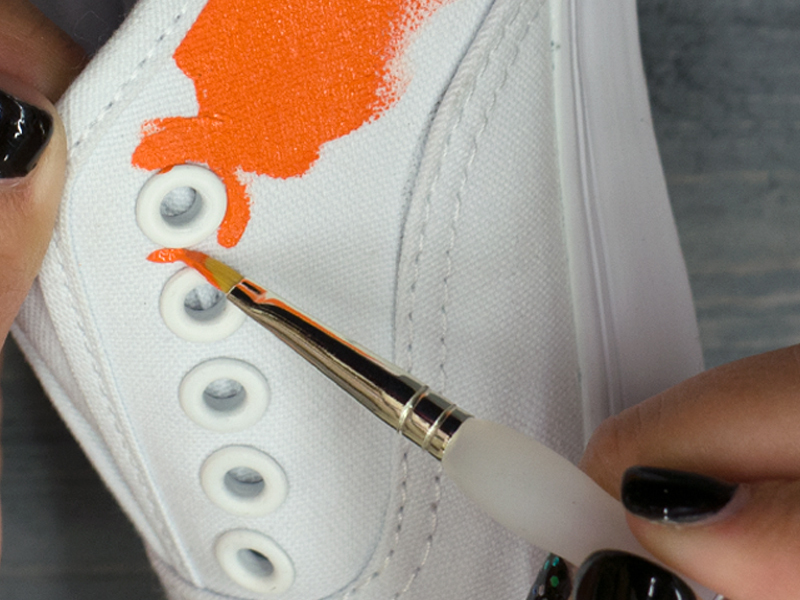 Step 2: With your pencil lightly make lines to where you want the paint to stop between the heel and the middle section of the Vans. Step 3: Pour Martha Stewart Pollen Paint into the palette. Step 4: Start painting the heel of the shoe with your flat head paint brush. 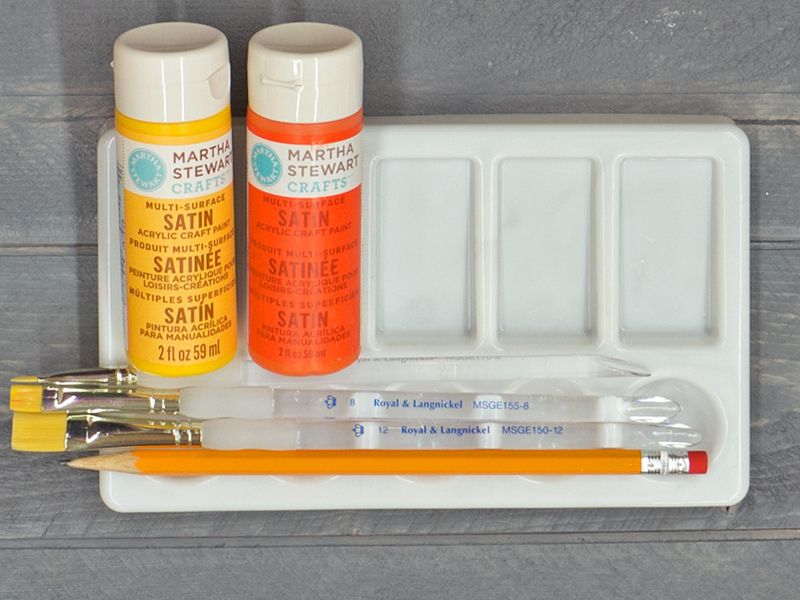 Step 5: Pour the Martha Stewart Carrot paint into your palette and get your larger flat head paint brush ready. Step 6: Start painting the middle section with the larger flat head paint brush. As you get closer to the eyelets use your smallest flat head paint brush. Now here is the grand treat!